Very useful product. I ordered this for my daughter. She loves them. save room in small closet. one hanger instead of a lot. 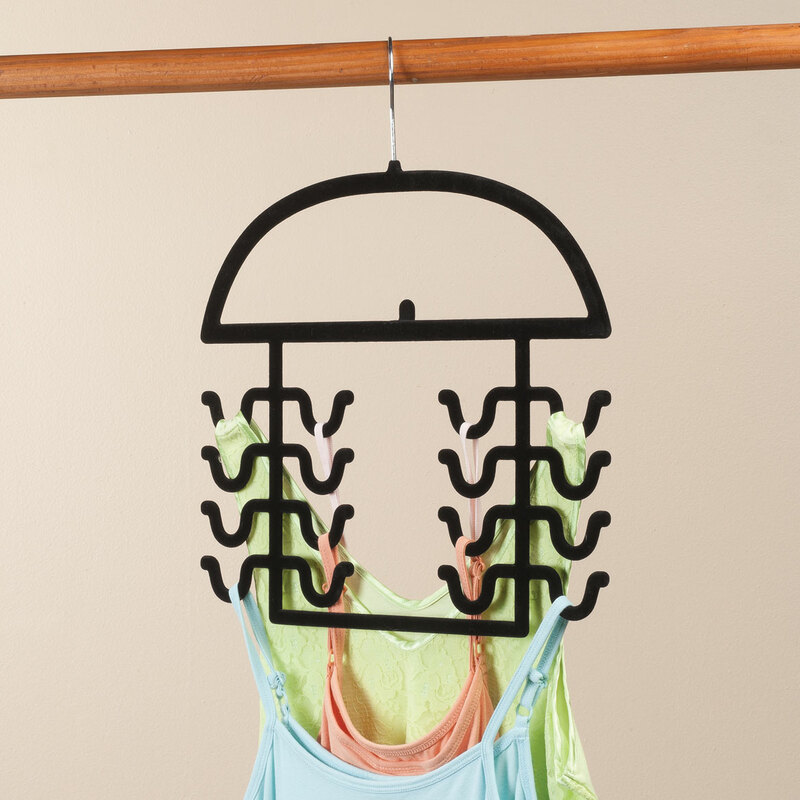 Tank tops often slip off the regular hangars. This design looks good for hanging tank tops. It will save space in my closet and dresser. I am trying to organize my closet and save space. trying to save space in closet. The need for a hanger to hang tank tops on. I wear a lot of tank tops and they take up tons of space in my closet on individual hangers. Good way to hang up tank tops so they don't fall off the hangers. Works great for string stop tops. The thought of having all of my tank tops on one hanger is a plus for my closet. Makes hanging your stuff take up less room and is so much more convenient. 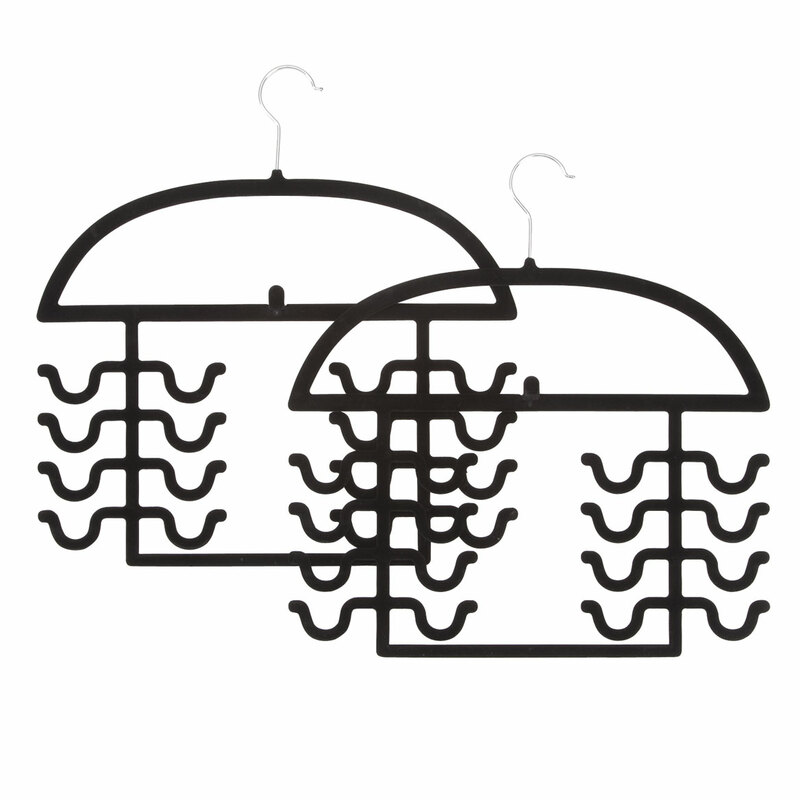 I choose these to try because they are suppose to be thinner than regular plastic hangers and because of the gripper material to hold my clothes on the hanger. I have too many clothes and not enough closet. I love these as they are easy to use. Recently I had purchased numerous tanks and don't care to fold and currently have several on hangers and this looks to be more organized. BEST ANSWER: Thank you for your question. Yes the handle does swivel. We hope this information will be of help to you. It can be made to swivel, but it isn't designed to do so. I wouldn't recommend doing it often.